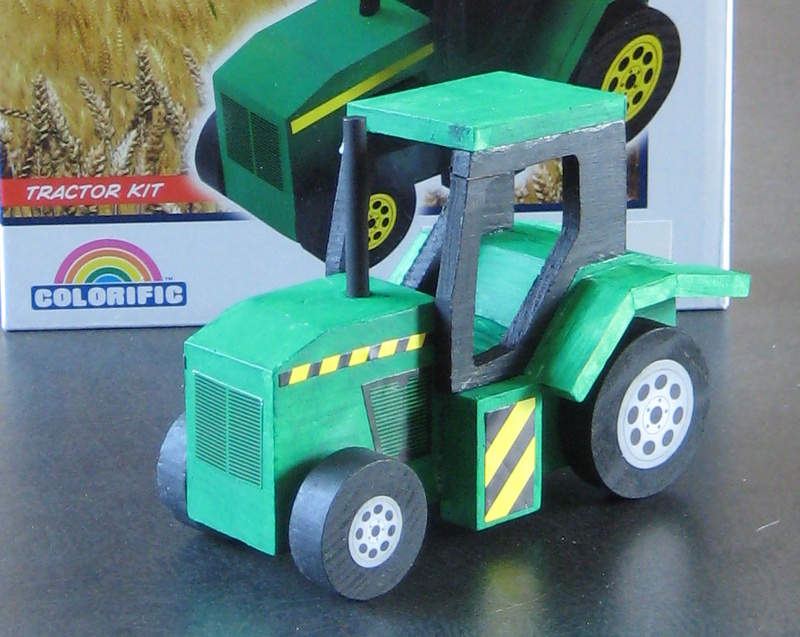 Over the last few weeks, my 5 year old son and I have been building this tractor from Wood WorX. I found it at Menards in the clearance aisle for $5 and it was definitely worth it. Although these kind of kits can be expensive, I like them because they don’t too much planning on my part and I usually don’t have to worry that some of the steps will be to hard. That said, the kit was a little advanced for my son, but we took our time and it turned out well. It came with everything you needed to build the kit (glue, acrylic paint, paintbrush, wood, and stickers). My son really liked that they provided a bunch of different decals to customize it. The instructions were easy to follow, but I would recommend painting all the parts before gluing the model together rather than painting after you glue the model, especially with a younger child. Also while the glue was pretty sticky, I’d still use some clamps while the glue dries. I searched online and found the company website. 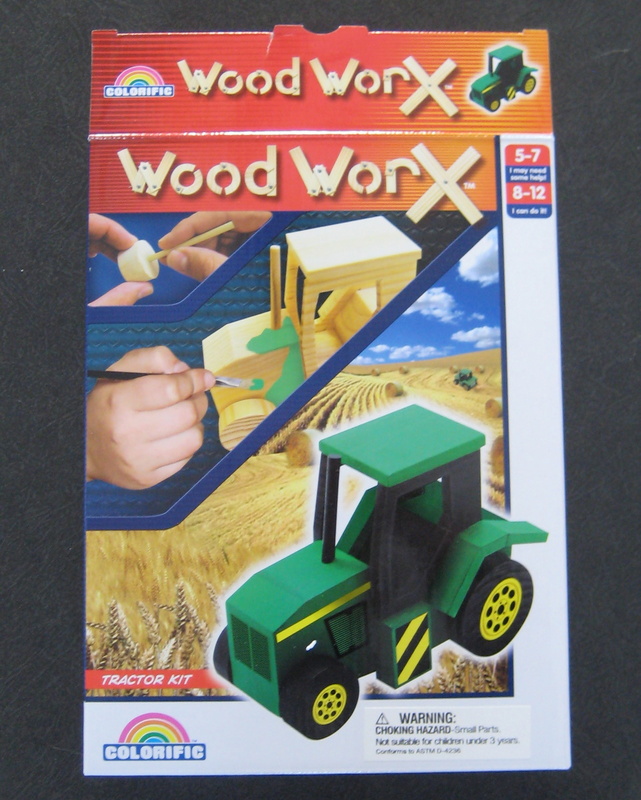 It looks like they also have kits for girls, but I couldn’t find the tractor or for that matter other kits that I know they make. I’ll be on the lookout for similar kits, especially if they are discounted. Your son did a good job. The tractor looks great.